Self-proclaimed UK branch of the newly-launched teletext research facility. 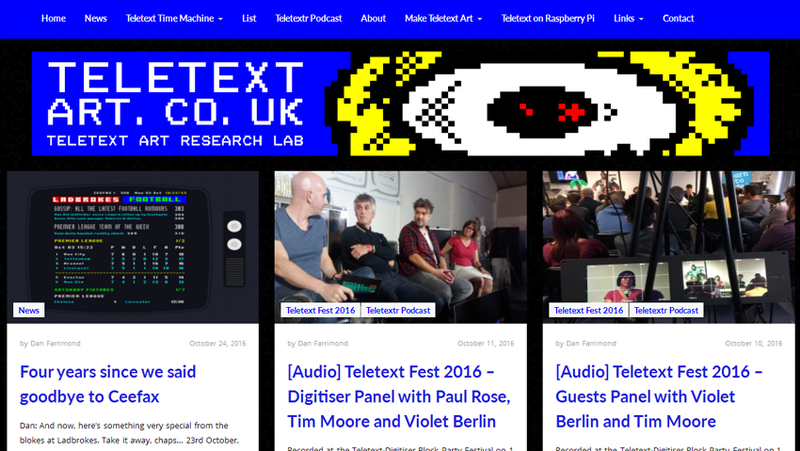 Find out how to make your own teletext pages, or view submissions from other artists. Teletext art new and old. Teletext relaunched for the Internet age. Site maintained by Peter Kwan, teletext service maintained by the Block Party crew. 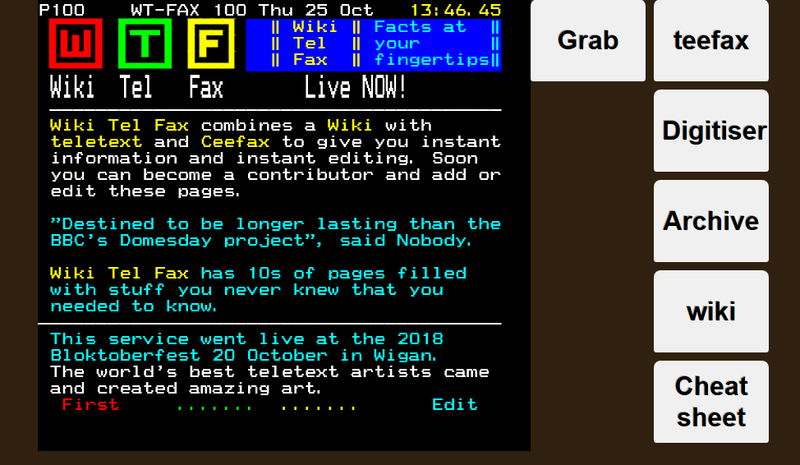 The online teletext service anyone can edit! As long as you’re nice, OK? For a more comprehensive list of teletext resources, visit the Teletext Art Research Lab links page.